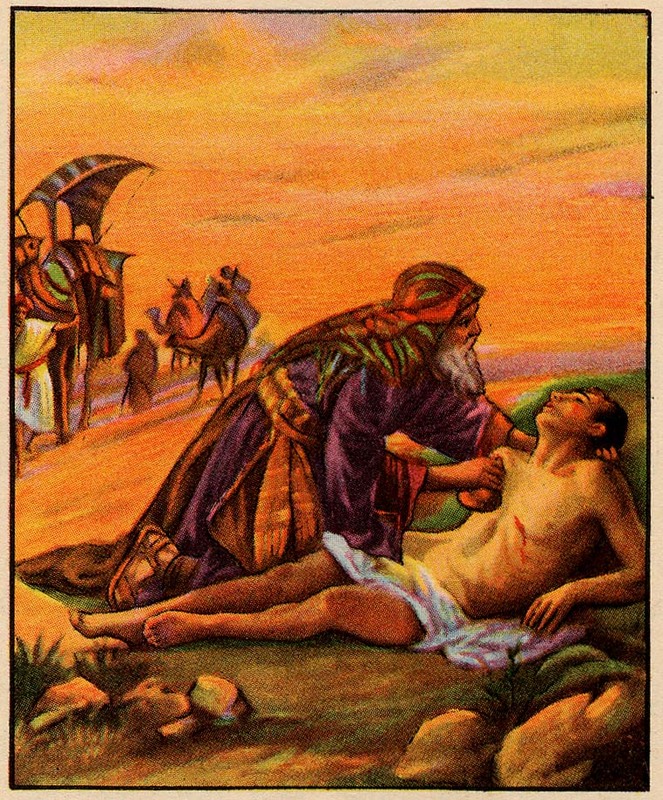 Why The Good Samaritan Wasn’t Gay | askthe"Bigot"
I was writing a blog post called “The Gay Samaritan.” I wrote it under the premise that Jesus used the Samaritan in His iconic parable for maximum shock value. He was trying to stun His audience into understanding that they were to love everyone and there were now no barriers within His kingdom when it comes to those to whom His love should be extended. That is all true, and indeed one of the lessons of the Good Samaritan parable. He chose the demographic that would be the most unlike His Jewish audience. The hero of that parable belonged to a people group with whom the Jews experienced long, on-going tension and sometimes outright violence. Even in the Old Testament, Israel was to be a light to the nations and draw people from surrounding cultures into a relationship with the one true God. That expectation had been lost on many in Jesus’ audience that day. The Good Samaritan parable, and it’s unlikely hero, undoubtedly knocked their socks off. But this message of Jesus affirming one’s race and gender and welcoming followers of all ages is seen throughout the gospels. So why not one’s sexual orientation? Race, age and gender are sacred marks on who we are. They are the fingerprints of God on each beautifully unique individual. The genetic reality of these three characteristics is not impacted whatsoever by environment, choice, what we do, what is done to us, how we choose to identify ourselves and with whom we associate. It is simply who we are. Our identities as it relates to these three aspects of our personhood should be valued, celebrated and encouraged. The true Church will be filled with people of all races and ages, men and women. If the point of the Good Samaritan was just about shocking the audience into realizing that we are to love everyone, then the hero could have been gay (because that truly would have sent them into a frenzy.) And indeed, Jesus Himself showed us how to engage those who are involved in sexual behavior outside of a marriage. (John 4:1-42, 8:1-11) In those two stories, Jesus lovingly dialogues with the women, does not condemn them, but also directs them away from their sexual sin. But because the story of the Good Samaritan was also about the presumed characteristics of His people, the hero was not actively sexually deviant (or greedy, or idolatrous, or deceptive, or a thief, or arrogant, envious, deceitful, hard-hearted, or malicious). In this Christian life, race, age and gender are just about the only thing that will remain unchanged by the gospel. Everything from our personality to our vocation, our relationships and our money, our recreation and our habits, our thoughts and our longings, the way we dress and the way we eat- it will all bend under Christ’s lordship. It is all-consuming. Colossians 3:5-11 talks about how those who have been “raised with Christ” are to “put to death whatever belongs to their earthly nature: sexual immorality, impurity, lust, evil desires, and greed, which is idolatry.” And on the days when I attempt to live this Christian life without the help of the Spirit, I’m wrecked- for there is much work to be done in me.